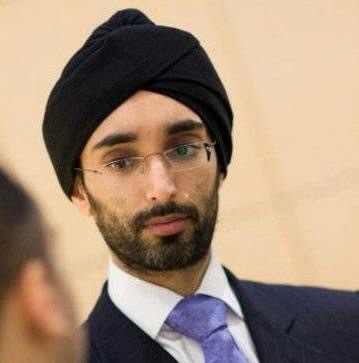 Jasvir Singh has been elected as the Co-Chair of the Faiths Forum for London. The capital's leading interfaith group has been operating for the last 5 years and has a number of responsibilities including being involved in the London Resilience Forum. The Forum invites leaders from London’s public authorities, NGOs and the media to engage with this group and share ideas. They also organise conferences and seminars that engage with specific issues of common interest and concern, to upskill all the faith communities in areas important to them. Jasvir will be working alongside the Archdeacon of Bromley & Bexley, the Venerable Dt Paul Wright, in chairing the Forum's Council of 29 prominent leaders from the nine main faith traditions in the capital (Hindu, Sikh, Muslim, Christian, Jewish, Bahai, Buddhist, Jain, and Zoroastrian) to regularly discuss the issues facing London and the religious groups within it. Jasvir said "Religion plays an important role in the lives of many Londoners, with food banks and the positive response to the refugee crisis being examples of the good work of people of faith. I'm really looking forward to working with the various faith communities of London on matters that affect all of us."